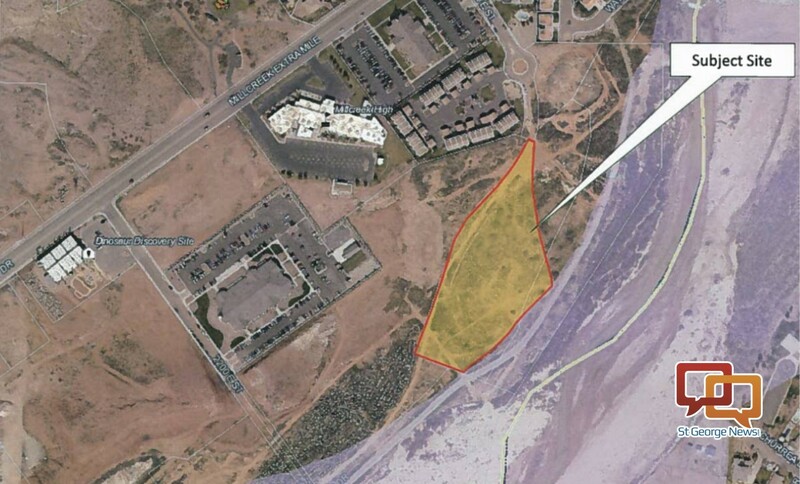 ST. GEORGE — St. George city officials are inviting the public to give comment on a pending land sale in the Dinosaur Crossing area to make way for a project that promises to deliver much-needed affordable housing units. During this Thursday’s 5 p.m. City Council meeting at St. George City Hall, a public hearing will be held to discuss the sale of a significant parcel of property with an estimated fair market value of just over $500,000 located at approximately 2450 East Street and Dinosaur Crossing Drive. The project planned for the property is a three-story, 55-unit apartment complex called RiverWalk Village. The complex is slated to be built on the 4.7-acre parcel just east of Millcreek High School behind the new Grayhawk development. Units will be a mix of one-, two-, three- and four-room apartments. “This is a key part of our overall housing plan. We need this badly,” Mayor Jon Pike said of the planned project. The $10 million-plus project is being funded by a combination of government grants and private donations. 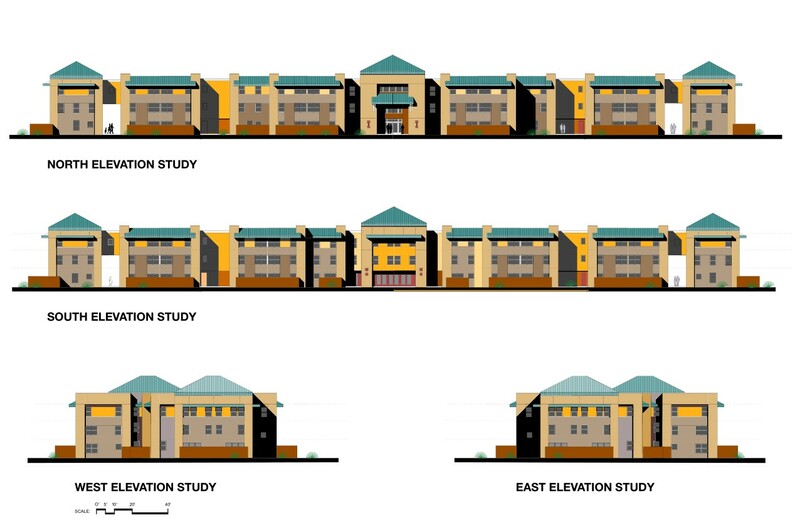 It will feature a mix of market-rate units, units supplied via vouchers from the St. George Housing Authority and units offered on a sliding scale based on income. The project is being spearheaded by Friends of Switchpoint, the nonprofit group that runs Switchpoint Community Resource Center in St. George. “For anyone that doesn’t understand the lack of affordable housing, our market study that we just had updated showed that we still have over 1,800 units that we need today in the affordable range,” Switchpoint Executive Director Carol Hollowell said. The apartment units are being aimed at the “working poor,” according to the project’s developers. “These are people that are working – and hard working. They just can’t afford some of our housing prices. So this is needed,” Councilman Jimmie Hughes said. The project’s long-term outlook will be made possible in part by tax credits. “It’s an apartment complex that will stay affordable forever,” Hollowell said. What: Public hearing on land sale. When: Thursday, Nov. 15, at 5 p.m.
Where: St. George City Hall, 175 N. 200 East, St. George. I can’t help but wonder if this is just more socialism from government? While a worthy endeavor in most minds, when did it become taxpayers responsibility to ‘fix’? Are there no free market solutions? Could this $500k be put to some other use that is clearly the city’s responsibility? Of course we always need to look at who’s making money from this and will this contribute to a ‘necessary’ tax increase down the road? Travel around a bit… compared to many areas the prices of homes arent that bad here. Rents everywhere are through the roof though. I hate to break it to you, but much local government is meddling and for good reason. Do you want to eliminate zoning laws too? So there is a need for 1800 units, but they are building only 55? My prediction is there’s already some kind of waiting list, so these 55 are probably booked before they’re even built. Unfortunately there is an essentially infinite number of poor people, and more are constantly drifting into our area from all over the country (plus the ones drifting in from out of the country). This project will make a tiny dent in the problem for a short amount of time, but what’s the long term solution? Take a drive along the Airport Beltway… look into AZ… an RV city has popped up. There is one behind Virgin as well. What’s the long-term solution? Smart growth, sustainable growth. Totally against what local politicians and their developer cronies are pushing for. It simply won’t happen. Wish they would open the first legal brothel house in St George. Would provide much needed funds for the county. You would want something like this. The meeting is perfunctory, the deals have been made. I agree, follow the money. Question – Where are these 1800 “unhoused needing housing” living now? I’ve seen this type of low-cost places come in for Section 8 and they get run down quickly and bring in poorer people; instead of helping the issue, it drives a problem and creates more problems. Crime increases and I don’t want theft and vandalism to increase in St George, I don’t want my home broken in to. People who benefit are the ones that make money off low-cost housing and like developers/builders, the educational system. I question that the housing is perhaps encouraging the illegals who are employed in the building industry and other service industries. I know when people come in illegally, they have a difficult time finding a place to live because of the history that has to be put down on forms and there is no US history of residence, etc – unless they have a lot of fake I.D.’s. A lot of illegals are paid cash and they work for much less money. Perhaps those who employ the should pay more for their services. This would force the economics of free-enterprise. People may have to pay more for what they want (i.e. : restaurants, builders, whatever), but that’s better than taxing everyone to supplement builders’ and other industry needs by allowing them to hire the illegal workers. That would be the best. I don’t believe that it’s aimed at the working poor. The working poor find places to live all the time. I’m hoping I’m wrong and that the deals haven’t already been made, but I know there is salivating going on!